Miami Marlins pitcher Jose Fernandez was killed in a boating accident early Sunday morning in Florida, the Marlins confirmed. The Marlins’ game against the Atlanta Braves scheduled for Sunday afternoon has been canceled. 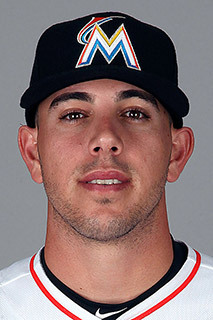 Fernandez, the 24-year-old right-hander whose vibrant personality endeared himself to fans as much as his dominant fastball, was a Cuban-born pitcher who grew up in Tampa and was drafted 11th overall by the Marlins in 2011. He overcame Tommy John surgery in 2014 and returned to dominant form this season, winning 16 games, striking out 253 batters and earning an All-Star Game berth. Fernandez was killed as a result of the impact of the crash, and did not drown, Lorenzo Veloz, an official with the Florida Wildlife Commission, confirmed to USA TODAY Sports. The boat carrying Fernandez and two others was traveling at a significant speed when it struck rocks. A Coast Guard crew left the Miami station for a law enforcement patrol when it found the 32-foot boat overturned on a jetty around 3:30 a.m. Sunday, said Chief Nyxolyno Cangemi. The Florida Fish and Wildlife Conservation Commission will lead the investigation, Cangemi said. Veloz said the three victims were between 24 and 27 years old. He said alcohol is not believed to be a factor and no illicit drugs were found at the scene. Known for his ebullient personality – which could occasionally rankle opponents – and a pitch repertoire that could stagger opponents with both his fastball and a devastating curve, Fernandez was the backbone of the Marlins pitching staff, posting a 2.86 earned-run average. He struck out at least 11 batters in nine of his 29 starts this season. In the final start of his career, Wednesday night against the Washington Nationals, Fernandez shut out the Washington Nationals over eight innings, striking out 12 in a 1-0 victory. Marlins infielder Martin Prado said Fernandez told teammates he believed it was the greatest start of his career. Fernandez posted a career record of 38-17, a 2.58 ERA and a 1.05 WHIP in 471 1/3 innings (76 starts). He struck out 589 batters. The Marlins-Braves game will not be made up, but club president David Samson said the team will play Monday night, as scheduled, against the New York Mets at Marlins Park. “We’re not robots. We’re humans,” Prado said Sunday. “He made an impact on everyone, in different ways.